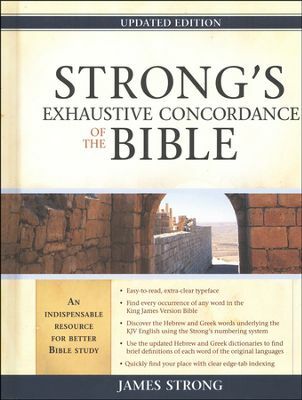 Strong’s Exhaustive Concordance is a cross reference of every Hebrew and Greek word used in the scriptures and what each one means in the most literal sense in the English language. For example, the word ‘hell’ is translated in various places in the Bible. But what does each use mean and what word from the original Hebrew or Geek language is being utilized? This is where Strong’s Exhaustive Concordance shines as it gives the closest transliteration from the original languages. A favorite for decades, Strong’s numbering system is cross-referenced to many other important study tools. Now it’s even easier to use! Newly typeset for clearer readability, it includes reorganized main entries; updated and improved Hebrew and Greek dictionaries; and handy indexing. It’s a staple to have in every Christian’s library. 1340 pages, hardcover.